With the advent of technology, kids are busy burying themselves in their iPads, mobiles, and tablets. In this era of addictive tech gadgets, monitoring and managing the kids’ use of these electronics is certainly not an easy task, especially for working parents. Here is a quick solution to reduce device-time and keep your kids busy throughout the day. Kids have a very short attention span and get bored easily with monotonous activities. We choose the best board games for kids and give you a complete review of what each of them entails. Kids’ board games need to withstand rough playing and multiple time usage. They need to be safe and durable for the kids to play with. Every game should either promote their creativity or engage them to play in creative ways. We have checked all of these parameters and have come up with the below-mentioned fun board games for kids. Looking to spend quality time with your kids? Hedbanz is the answer to your need. This game can be enjoyed with the entire family. The game involves challenging the player’s deductive reasoning skills. Hedbanz is an excellent way to engage your little ones actively, especially when you want them to stay indoors. 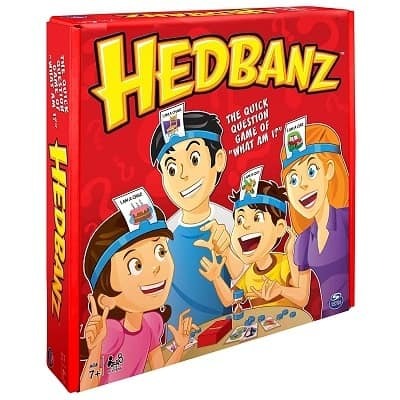 The way to play this game is you attach the headbands on to your head and then without seeing, and you pick up a card to fit the slot on the headband. You will then have to guess the card that you are wearing. This will help your kids to increase their concentration powers and also get them to ask clever questions to deduce what card they have picked up. 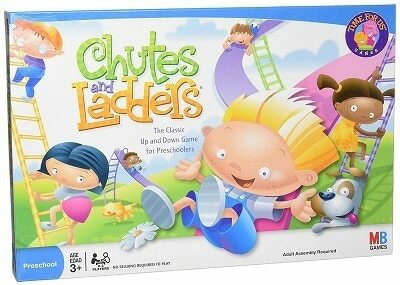 This game can be played across all the age groups. This encourages children’s imagination and allows kids to explore their creativity. 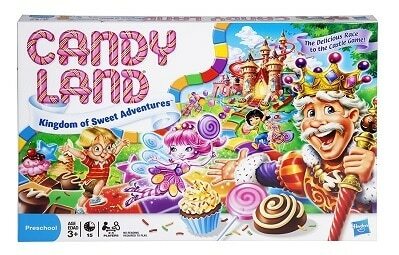 Candy Land is so much fun to play irrespective of your age. Toddlers and young kids can play this game. The kids need to know their colors, and they can participate in this exciting and delightful game. You draw a card and then plan your move to that color on the board. The player who reaches first wins the game. The creative skills of the kids are honed while playing with the characters in the board game. They get to learn the colors very well. Since this game involves playing with other kids as well, it teaches them patience and inculcates sharing habits in them. It teaches them to recognize colors and plan their strategy to reach their goals on the board. Candy Land is a straightforward and easy-to-play game which can be enjoyed by both kids and adults. The board comes in a very trendy foldable design which makes it easier to store. Make learning spellings fun for your little ones. The added advantage of this board game is that your child can still play the board game and learn their spellings. 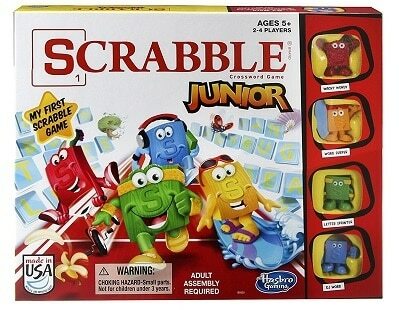 The game comes with two sides – one is like a matching game for “beginners,” and the other is a regular Scrabble board. Enjoy your time with your kids while making them learn the different spellings or words with ease. This board game is educational. It teaches the younger kids letter recognition and letter names. It allows them to create their own words. This is especially great for kids who already have a habit of reading as it improves their vocabulary. It would have been great if the tiles came with separate storage. This game makes learning time fun for the kids. Even if you have played this game several times with your kids, you will still find it new every time you play. 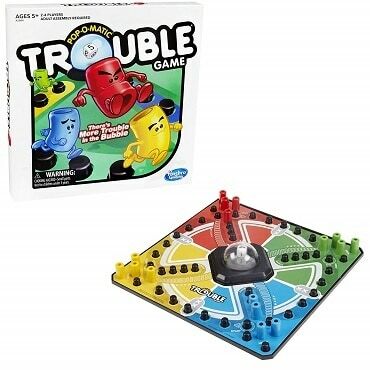 Trouble is a great game for both adults and kids. It guarantees lots of fun and excitement while playing. It is based on the concept of rolling the dice and moving all your game pieces across the board. The “trouble” comes in the way when another player’s dice lands on the space occupied by your piece, sending your piece straight to the beginning of the game. It is a game that we have played in our childhood, and it still holds its charm with the youngsters today. It is a game which can be played anytime, anywhere! This game involves strategies and brain work. You have to choose the gold or red disc and then slide them into the slot. If you are lucky to get all the four discs in the same row, then you are the winner. While playing you also have to challenge the other players by blocking their attempt to get the four discs in a row before you do. It helps the kids develop their critical thinking skills and teaches kids the concept of taking turns to play. It also enhances their power of logical thinking and makes them think of strategies to get their four discs in a row. This game can be played in very less time and is suitable even as a quick bedtime game. It involves planning and strategy and will eventually tire the kids, enabling them to get a good night’s sleep. This game is incredibly entertaining for kids. It is a game of chance. The rules are very simple and easy for the kids to understand. The way to play this game is to roll the dice and then move ahead on the numbers counting from 1-100. If you do a good deed, you will shoot up the ladder, but landing on the wrong spot will take you down the chute. It’s a brilliant game to teach kids the nuances of life. A good deed in their life takes them many paces ahead, and a bad deed pulls them down. This is a great game for kids who are learning their numbers. The numbers on the game allow them to count from 1-100 while they make their advances on the board. 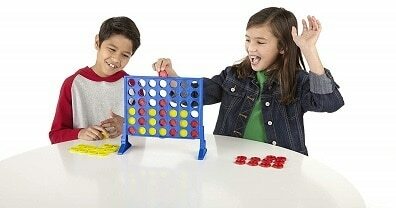 Teaches kids that games can be fun even if they don’t win each time. The simplicity of the rules of this game makes it immensely likable. It is fun to play even with the toddlers and teaches them important life lessons from an early age. This is a classic game. In this game, you build a tower with the pieces that come in the pack. Once the tower is built, the players are asked to take turns to remove one block out of the tower. If the tower falls apart on your turn, then you will lose the game. This game can be played anywhere. 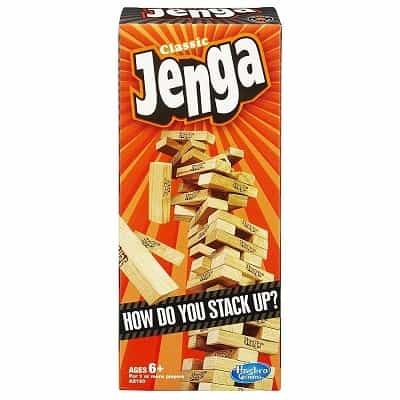 All that is required to play this game is a stable surface so that the Jenga blocks can be stacked together. The game is easy to play and teaches the kids hand-eye coordination skills. It helps them to strategize which blocks should be removed so that the tower does not fall. It teaches them to be patient while they build the tower back up. This game can be played anytime and anywhere. You can choose to go solo or play with your friends and kids. It fits all the ages and is the perfect solution to banish boredom! One word to describe this game is “Marvellous”! It is a game that kids of all age groups can play. This game stimulates your brain and increases your creative skills. It is an innovative version of the age-old classic game dumb charades. This game involves two or more teams. Each team has a storyteller who will enact the word that has to be guessed. Each of the teams has a limited time guessing the word, and the first team to guess it right gets the maximum point. This game gets you thinking as no miming or gesturing is allowed in the game. This fosters a healthy competition among the kids. It teaches them patience. It gives a boost to your imagination skills as you try to make your teammates guess the word before the other team gets it. The best part of this game is there is not a single dull moment when you play this. It keeps kids engaged and helps improve their vocabulary. When looking through and suggesting the best kids board games, there is a range of factors that need to be considered apart from the age appropriateness for all the games. The games should help the kids in learning basic life skills like good sportsmanship, sharing habits, and patience. It should also teach them math skills or make them learn new things like words or colors. We do a thorough study of each game and also check extensively how the customers feel about it. Right from the packaging to the rules of the games, we cover everything in our review. We choose the best board games for you so that you can sit back and have an amazing time with your kids.